Home theater projectors have advance rapidly in quality over the last decade while prices have plummeted. Inexpensive home theater projectors are better than ever and some of them are terrific. So it's time to ask an obvious question: how do today's moderately priced home theater projectors compare to the expensive high-end brands? 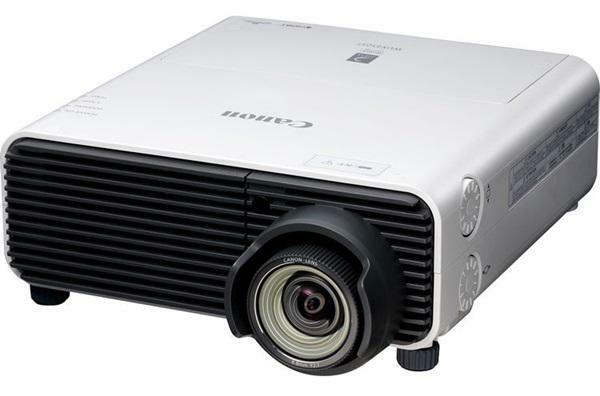 We've got two projectors on hand that created a fascinating side by side comparison--the Runco XtremeProjection X200i and the Epson Pro Cinema 6030UB. Runco's X-200i is a premium DLP-based home theater projector priced at $14,999 including a standard lens. The Epson Pro Cinema 6030UB at $3,499 is not in the same league pricewise, but we could not resist the temptation to put the 6030UB up against the Runco X200i to see how it would fare against a (presumably) much more substantial product. The Runco X-200i is very bright as home theater projectors go. It is rated at 1430 ANSI lumens when fully video-optimized in its lowest light output configuration, and we measured ours at 1378 lumens. It doesn't have any dimmer operating modes, and no eco-mode to reduce lamp power. Realistically, the X-200i is made for larger than average home theaters with screen sizes in the 150" to 180" diagonal range. Another important factor in setting up this test was the impact of the 6030UB's zoom lens on its light output. The 6030UB has a long 2.1x zoom lens compared to the X-200i's 1.3x lens. From any given throw distance, the 6030UB will throw both a smaller and a much larger picture than the X-200i is capable of. So it's easy to use the 6030UB's zoom to match the image size to anything the X-200i is producing. However, if you go too far from the wide-angle end of the lens on the 6030UB, it begins to curtail light output. At the midpoint of the zoom lens, you've lost 20% of the projector's light potential. That means Living Room mode, which is about 1400 lumens at wide angle, is about 1100 lumens at the lens midpoint. That is enough to make the 6030UB's image look less vibrant as compared to the X-200i. The bottom line is that if the projectors are placed in the same rack at the same distance from the screen, the 6030UB at wide angle will project an image that is much too large for the comparison. So it is necessary to place the 6030UB closer to the screen to allow the use of the wide-angle end of the zoom. In our testing, we projected two 5-foot wide images side by side on a 10.5 foot wide Stewart Studiotek 100. The Runco X-200i was 11 feet from the screen, and the Epson 6030UB was 8 feet from the screen. With this set up we were able to achieve parity in both image size and image brightness. Interesting comparison. I'd be curious to see if it would have made any difference if you'd equalized light output by knocking the Runco output back via a neutral density filter instead of running the Epson in a sub-optimal picture mode. Thank you for your service...your review seems to support the opinion I have heard expressed by many others that Runco projectors, in spite of their high cost, offer no compelling advantages versus Epson and JVC. JVC offers the best 2D image and shorter viewing distances at a reasonable cost and Epson is the best bang for your buck with some small compromises in black level and dynamic contrast. American technology verse Japanese technology. Thats the answer. I purchased the projector based on your review and I couldn't be happier!!! I noticed that the Dynamic Iris defaults to "OFF" for most color modes (except Dynamic). Do you guys recommend leaving it off for the "Living Room" and "THX" modes or would you set it to high for those color modes as well? Ryan, you can easily mount the 6030UB 20 feet from the screen. How much light is lost in the zoom lens depends on the screen size. If your screen is 200" diagonal, you will be using the wide angle end of the lens and no light is lost. If you screen is 100" diagonal, you will need to use the telephoto end of the zoom. All long zoom lenses curtail light output as you move them toward the telephoto end of the range. On the 6030UB, you lose about 20% of the light at the zoom's mid-point, and 40% of the light at the maximum telephoto position. This is normal for a 2.1x lens. Whether the light loss is an issue to worry about depends on your room, screen type, and so on. If you were to use the calibrations we used for Living Room mode, and also use the maximum telephoto end of the lens, you would net out 840 lumens. That is plenty bright for dark room theater on a 120" screen. The professional custom installers who sell the 6030UB can help you sort out these details better than we can in a blog post. Whether the light loss is an issue to worry about depends on your room's ambient light, screen type and size, and so on. If you were to use the calibrations we used in this test for Living Room mode, and also use the maximum telephoto end of the lens, you would net out 840 lumens. That is plenty bright for dark room theater on a 120" 1.3 gain screen. HD 1080p resolution is very high resolution for video, but relatively low resolution compared to the precision of today's optics. The position of the zoom is not going to impact the perceived sharpness of the image. The professional custom installers who sell the 6030UB can help you sort out these details better than we can in a blog post. We encourage you to give them a call and have a more detailed conversation about your installation. Thank you for the response. We have a large room with 2 windows on the side so there will be some ambient light, but I've ordered a 120" black diamond. I ordered our Epson 6030 online because of a special, but our installers were dealers so I'm a little worried on how well they'll know how to calibrate it. You speak about the maximum for telephoto lens. How is that done w/ this projector? I'm assuming you are saying we would need to zoom more because it's in the back of the room at 20 feet? In your tests how did the 6030 do when watching the NFL game? I'll be doing more TV/Sports than movies so I'm curious what you thought and at 20 feet do you think I'll need to go into a brighter mode since I could lose 20-40% of the light output? I notice that you use the OPPO BDP 103. Have you checked out the 103D? I''m curious if it's worth the extra cost. Always look forward to your reviews. Ouch! Not often do you see such a spanking...or a review site willing to make the head to head comparison in the first place. The level of audio video performance available to us common folk is truly astounding. Thank you for providing a rational view point. Excellent work by Projector Central again ! It's about time that more of these fraud brands like Runco get exposed for making over prices products that do Nothing except cost you more money. How many other hundreds of products are out there in the Audio Video Industry that are just like Runco? way overpriced with no benefit ! they didn't even put FI on the Runco? what an embarassment ! Hey Evan, I received my 6030 about a month ago and I absolutely love it. For the money I don't think I could could do any better. Looking at the calibration settings I see that on the Runco you have Adaptive Contrast set to "Off" and on the Epson you have Auto Iris set to "High Speed". Correct me if I'm wrong, but isn't the adaptive contrast setting on the Runco the same basic idea as auto iris on the Epson? Is there a specific reason you left it off on the Runco? @ Bill, the Adaptive Contrast control was left off because it generated some strange and unnatural looking artifacts in some scenes that we, and I suspect most videophiles, would prefer to do without. The picture had better integrity with it off. Those artifacts did not appear with the auto iris on the 6030, so Adaptive Contrast and the auto iris do not have identical effects on picture quality. That's simply amazing! And that's it, I'm pulling the trigger on the 6030UB... thank you Evan & Projector Central for such an honest and rational shootout, and for the always trusted and professional reviews, keep up the awesome job. This does not shock me much. Runco, while nice, has always been over-priced and under-performing (imho). I'd be much more interested to see how something like the Epson 5030 or 6030 (same unit) do against a "real" powerhouse like the Sony VPL-VW600ES. I believe that is where you would see the value in spending an extra $10k. Hey Joe, Its true, the JVCs aren't "much better" than Epson but then, they also aren't much more expensive (don't believe the MSRPs, JVC discounts more heavily than Epson). Also, the point of this article seems to be that boutique manufacturers aren't competitive with budget units, so now the obvious has been established, they never have (just as a BMW and Toyota or a Rolex vs. Timex). I had a watch repairman tell me once that the Rolex keeps "worse time" than a $3 Timex, due in part to its "smooth movement", which is Rolex's signature feature...but people who buy them could care less that they lose a second every day because its diamond encrusted (they could make "watches" which tell no time at all and I doubt it would hurt sales a bit, maybe even help) Runco's development team obviously missed the mark as they have made better performing projectors for less money in the past. The point for BMW and Runco owners isn't that they have a high value unit, its that they have a BMW, a Rolex and a Runco, which for certain high performance models, really does mean something. I've owned $30k audio systems, and $300 audio systems. I've owned $12k projectors, and $1k projectors. For the car analogy people out there commenting on this post, I've driven everything from a rusted-out POS VW Bug up to my current ride, a 2012 BMW M-series X5. There are folks out there with a lot of money that want to buy nicer items to be "elitest". There are folks out there looking for deals because they can't afford the best and they are looking for some validation that their $200 item is every bit as good as the $2000 item. Both of these positions are wrong. As Evan mentioned, try a head-to-head of the Sony VW600ES vs the Epson 6030/5030 and see what happens. The price point of an item will give you some insight into its quality, but that is not always the end-all-be-all of the decision making process. There is garbage out there with small and large price tags hung from them... it is better to judge a piece on its merit and technology moreso than its price-point. I have a projector and screen right now that cost me less than $4k for the set, and I would put it up against anything you want at double the price. My projector is average at best, my screen is one of the best in the world. It's not that these items are on one end of the spectrum or the other... it's about how they work together under my room conditions and utilizing my sources. You can't go off-roading in a Ferrari, and it does you no good to put Z-rated racing tires on a VW Bug. Dan, I wish you had been here to see them side by side and experience what we saw. As noted in the article, it is easy to set them up so the Runco puts out 1400 lumens and the Epson puts out 700--all you need to do is put the two projectors on the same rack and put the Epson into Cinema mode. If the objective is to make the Runco look better in order to sell the prospect the higher priced unit, it can easily be demo'd that way. Evan, thanks for the response but I still feel this is misleading. If you want accurate colour and 1400 lumens there are not many options on the market, the Sony VW600 would probably be better value. If you want to argue that most people won't see the difference of the Epson in cinema mode then fine but it doesn't change the fact that the colour won't be accurate. I can always see the difference between a sharp .95" DLP and an LCD or LCOS projector save perhaps the Sony, is that extra sharpness worth it? Well thats for the person to decide but again, the Runco is sharper and obviously so when I saw it. 3D was no contest at all. The demos I saw were setup from both manufacturers, you would expect them both to show them in optimal setups. DLP projectors are definitely overpriced but there are things they do better. Dan, you make a couple good points that I'd just like to expand upon a bit if I may. Regarding sharpness, there is no doubt that a single chip DLP projector will have an inherent advantage over any 3-chip design, be it LCD, LCOS or DLP, if the three chips are not precisely converged. Our Epson was properly converged, but in any side by side test, if the 3-chip machine is slightly out of alignment the single chip DLP will appear sharper. I wonder if this could have contributed to your assessment? Beyond that, there is a reluctance among some videophiles to use sharpening features, due to the notion that with all sharpening features set to zero you are getting the most faithful and "undoctored" version of the signal. I mentioned in this article that if the Runco and Epson Sharpness controls are both set to zero, and the Epson's Super Resolution processor is also at zero, the Runco appears noticeably sharper. It may be in the demo you saw that these zero factory defaults were used. If so, I can fully appreciate and concur with your observation that the Runco was the sharper of the two. However, when we engaged the sharpness tools on the Epson (setting Sharpness to +1 and Super Resolution to +2), it changed the ballgame. Suddenly the Epson was the sharper of the two. This was achieved without introducing any objectionable edge enhancement artifacts--the picture just looked more acutely defined, but still perfectly natural. So I think it comes down to a philosophical decision--do you want to avoid the use of sharpness enhancing tools in order to get the purest rendering of the signal the projector is capable of, or do you engage those tools to get a digitally improved image? In my experience I now opt for the latter since image sharpening technology has gotten so refined. But others may prefer the more traditional videophile position on the issue. If somebody is splitting the tiniest of hairs to defend a $15000 projector against a $3500 unit (really a $2600 unit since the Epson 5030UB is the same projector), then they've already lost the argument. And the argument about the "living room" mode or "cinema" mode is really just semantics and doesn't mean anything. Anybody who is upset about this review is probably either a Runco owner, or a salesman. Everybody else should be applauding Projector Central for daring to put this out there. As stated below, the elephant in the room in the online A/V review industry is their reluctance to objectively compare exotic ($$$) gear to competing high-end consumer products. bottom line is the Runco is a Joke and does not justify it's price in any way, shape or form. PERIOD ! !